A common leak on the 2nd Generation of Minis that use the N12 and N14 engines is at the oil filter housing. 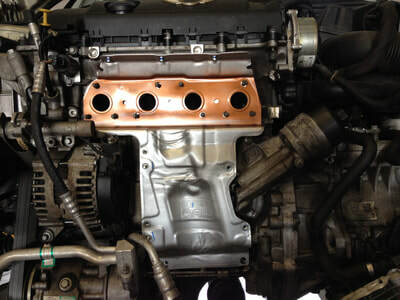 The housing itself bolts to the side of the block and uses standard rubber seals for both the coolant and oil passages. 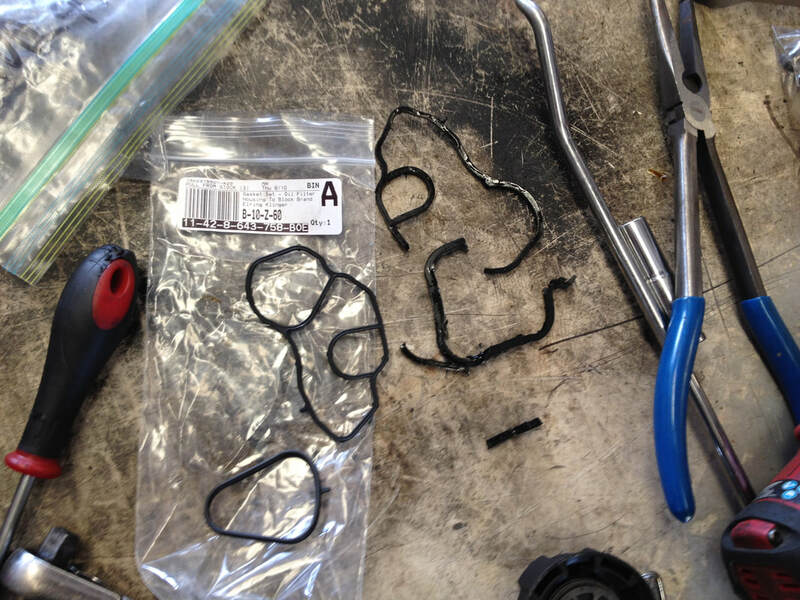 The rubber becomes hard with heat and age, and allows oil to leak past under pressure. One good indicator of this leak (other than oil loss) is the smell of burning oil and sometimes even noticeable oil smoke from the front of the engine. That's because this leak can drip directly onto the exhaust that routes below it. Access to the seals is restricted, especially on the turbo engines. 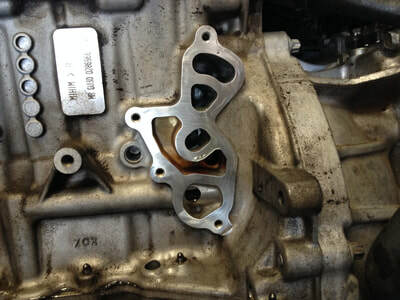 While the seals themselves are not too expensive, the steps needed to expose the oil filter housing for removal are a little involved. Here's today's example car. So we have the car, and we've found the leak. Let's start taking things apart. 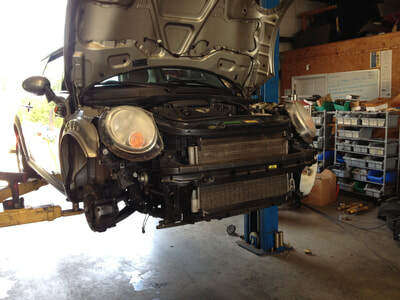 We'll need to remove the wheels, fender liners, fender trim, bumper skin, head lights, structural bumper, windshield washer bottle, and radiator with support member. From there, we can see the evidence of the oil leak at the housing much better. 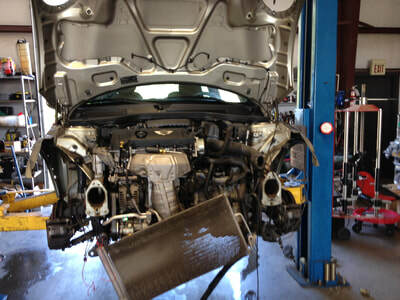 Especially once the exhaust is removed. 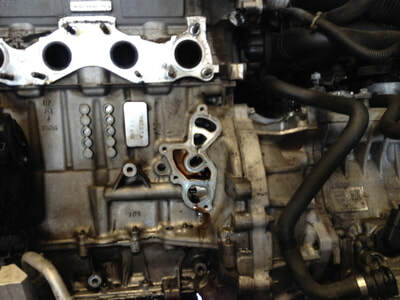 With good access to the oil filter housing finally available, the housing is removed, the seals replaced, and the gasket surfaces cleaned. Now, it's a simple matter of reversing the process and reinstalling all the other parts. Repairing oil leaks is a good idea for any car, but it is a very good idea for Mini and Mini S models of this generation since they are known for weak timing chain tensioners. 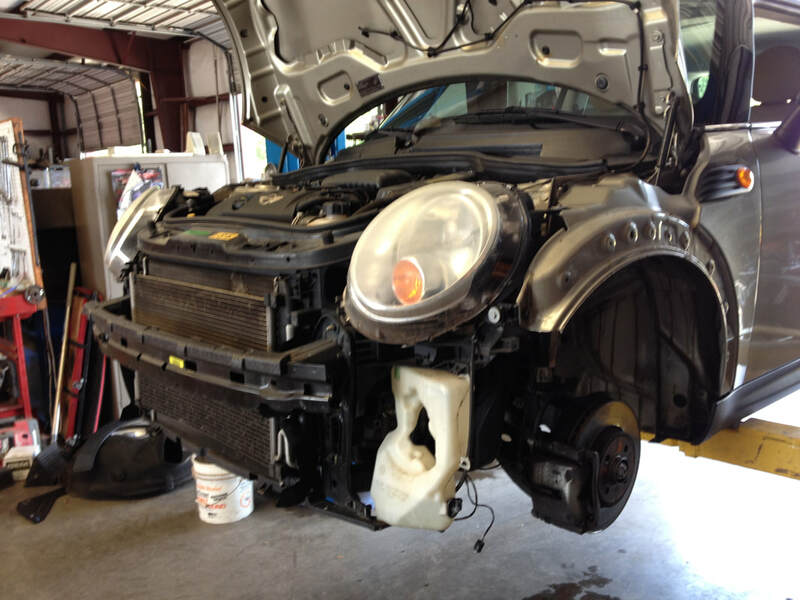 The combination of a weak timing chain tensioner and low oil level can be very bad news for your Mini. Further complicating matters for the Mini S model is the fact that they use a turbo. The turbos are oil lubricated, so it is vital for their longevity that they have a good supply of oil as well. 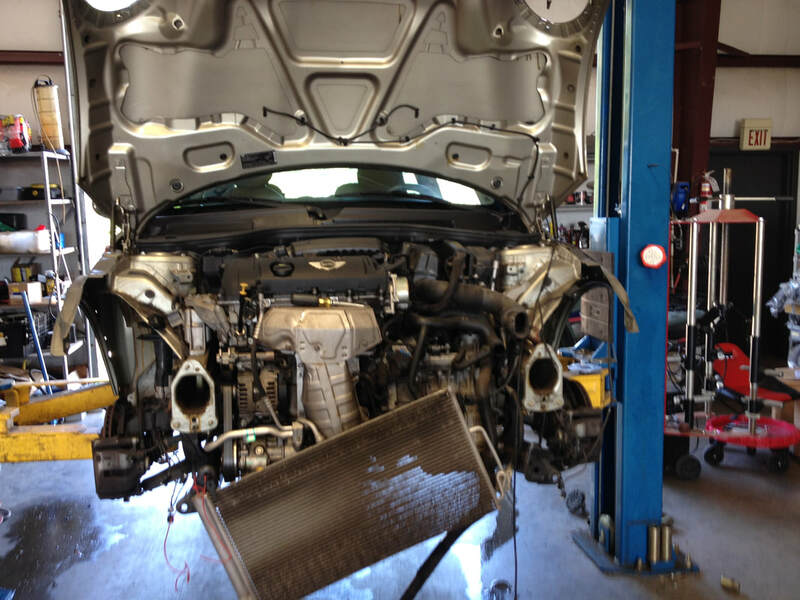 Do yourself a favor and don't let that oil leak go without getting it repaired.